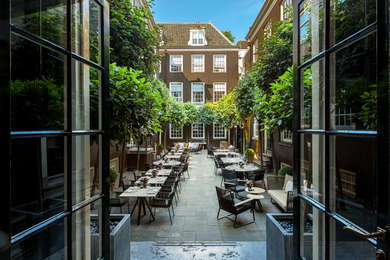 Situated behind the gate of a Golden Age theater, where Antonio Vivaldi himself once conducted the orchestra and noted guests included the Russian Tsar and the Prince of Orange, is a luxury boutique hotel that continues to strike the right note, with views of Amsterdam’s grandest canal, award-winning service, a Michelin-starred restaurant and an elegant décor. YOU SHOULD KNOW While there’s a small gym, there is no on-site spa or pool. Massages and spa treatments can be arranged in-room, however. 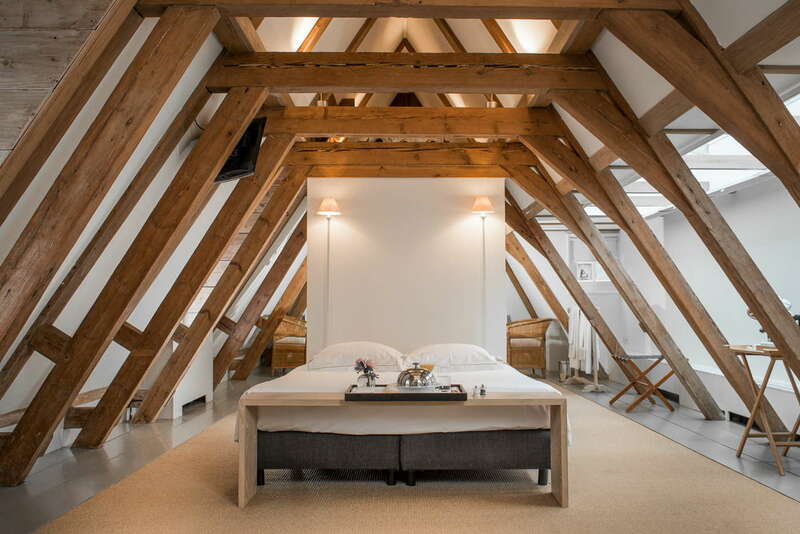 Understated, with clean modern lines that underscore those historic details, the Dylan’s atmosphere is one of serenity. 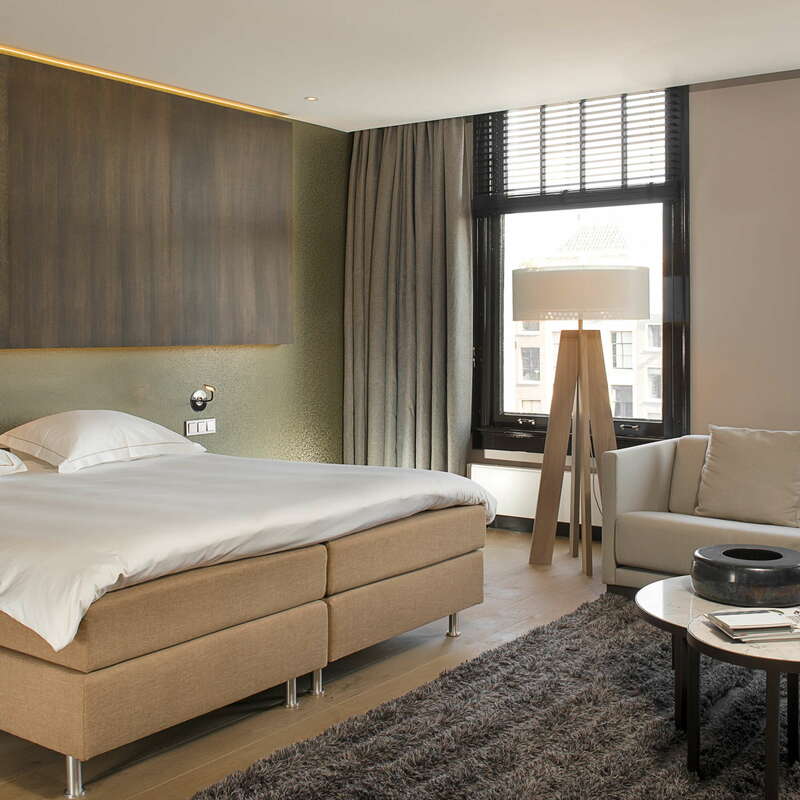 There are 40 individually designed rooms and suites in a symphony of styles; from neutral to butterfly hued. 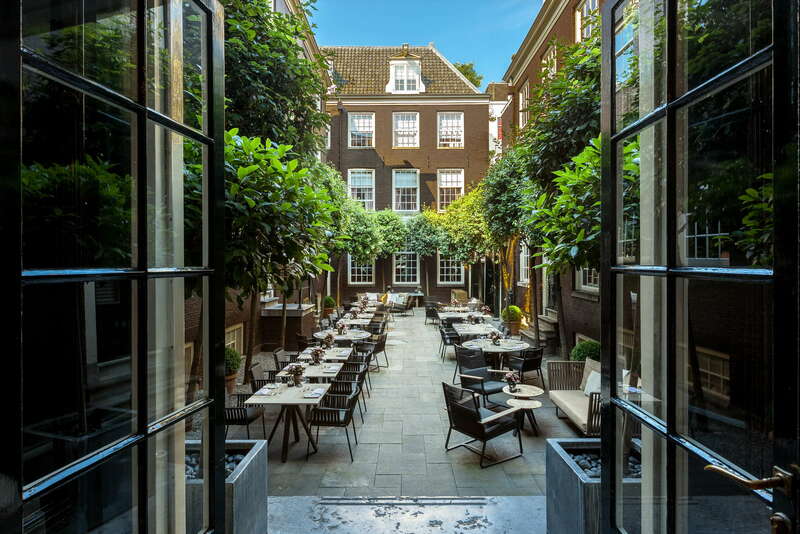 Some rooms overlook the impressive Keizersgracht, while others are set off a gorgeous Golden Age courtyard. Step back in time through the former theater’s original archway, and walk across the pretty courtyard to access the reception area. 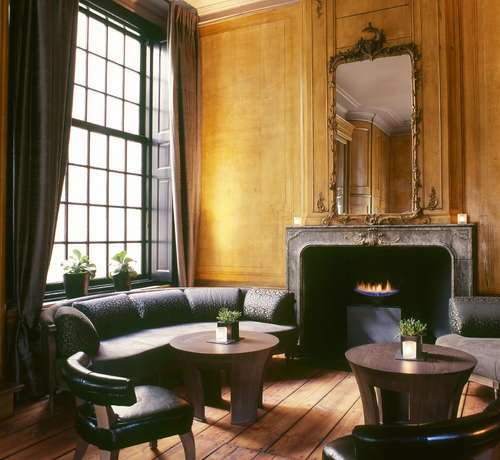 Around the corner from the lobby, you’ll find a comfortable lounge with a fireplace to relax. 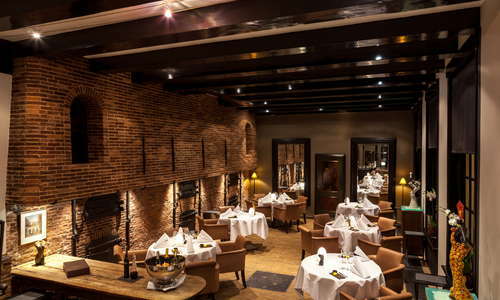 The Dylan's Michelin-starred restaurant, Vinkeles, offers a French menu in an intimate setting (dinner only). 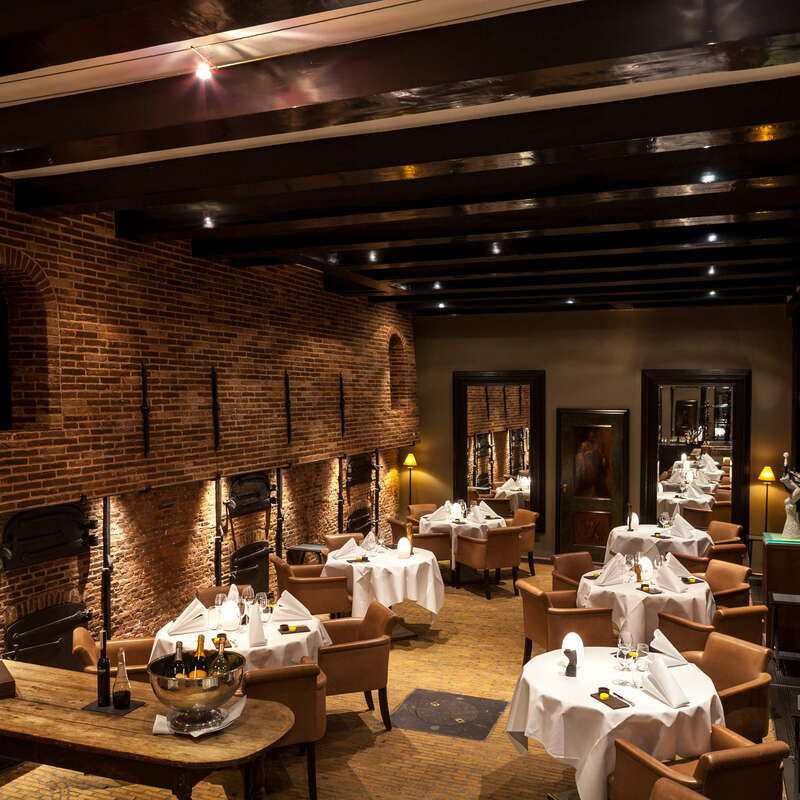 The restaurant shares a kitchen and chef (Dennis Kuipers) with Bar Brasserie OCCO, which is open for lunch, high wine (a wine flight with paired bar bites, served 3 p.m. to 5 p.m. daily) and dinner, with courtyard service, weather permitting. YOU SHOULD KNOW Vinkeles has only 9 tables, so it can be difficult to book—even for guests— and that Michelin star doesn’t come cheap. 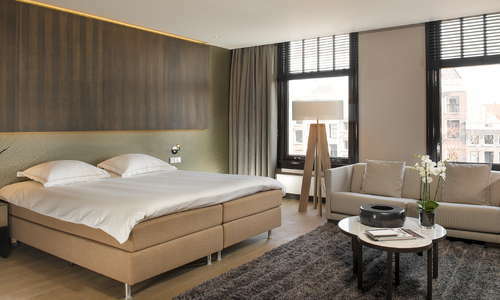 Located at the heart of the grachtengordel and popular 9 Straatjes shopping and dining destination, this hotel offers excellent access to the city’s most picturesque canals and the adjacent Jordaan, and is within easy walking distance of most significant sites. 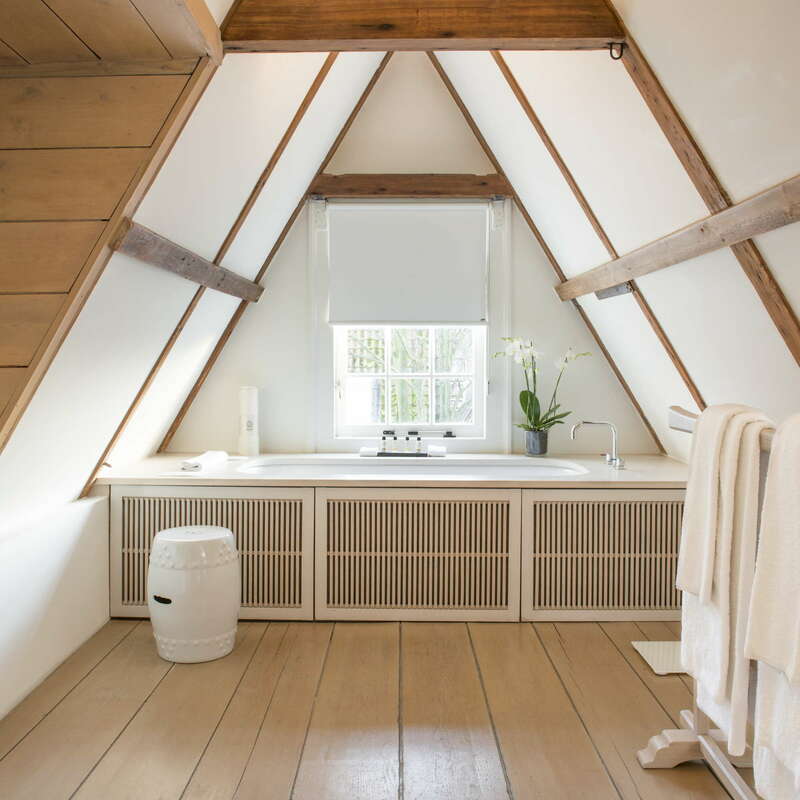 A five-minute walk away is the Keizersgracht tram stop where you can catch the 1, 2 or 5 tram north to Centraal Station or south to the Vondelpark and Museum District. You can rent a bicycle from the hotel or have a private boat tour arranged for you. 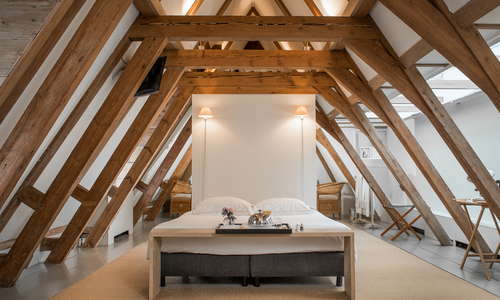 With one of Amsterdam’s best restaurants on the premises and a perfectly good bar brasserie, there’s not much reason to leave, but those canals deserve exploring too, and Restaurant Beulings (5-minute walk) offers top-notch cooking, charming service and an excellent price-performance ratio. For fine dining in understated, stylish surroundings, Bussia (5-minute walk) is one of Amsterdam’s most beloved Italian restaurants. For some of the best pancakes at town, you can’t go wrong at Pancakes! (2-minute walk from hotel). Head to Pulitzer’s Bar (5-minute walk) for well-crafted cocktails with canal views, intimate fireplace nooks and an Art Deco-style bar. Or, if you’re looking for local beers and the cosy atmosphere of a typical Dutch “brown café”, there’s Café De Doffer (1-minute walk). This restful respite almost has it all: an ideal canal-side location, a wealth of original period details, and personal service that is highly professional yet always feels warm and welcoming. And, the food’s fabulous too.